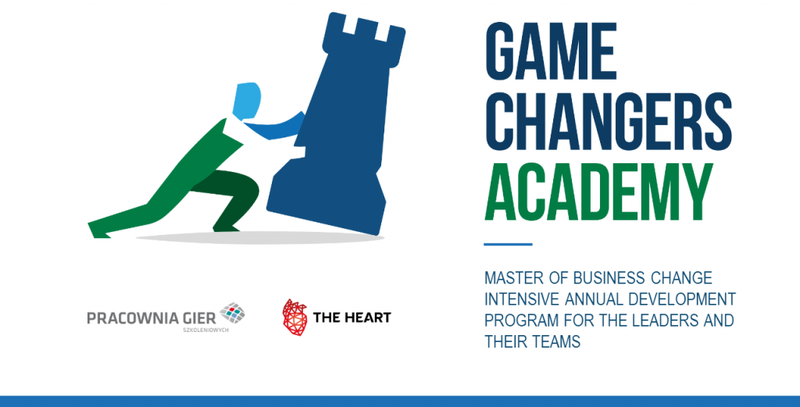 Game Changers Academy was created by combining the know-how of Pracownia Gier Szkoleniowych with the unique offer and space of The Heart. The successes of our joint events from 2017 motivated us to develop the concept of a long-term joint project. In August we organized an event during which we had the opportunity to host over 180 managers from various organizations and industries. The next event was a meeting for the highest staff, during which nearly 100 presidents took part in a simulation game which was also played at The Heart. The participants of our meetings inspired us to create something cyclical – this is how Game Changers Academy was created. It is time-effective, annual program preparing leaders and their teams to implement digital transformation, initiate changes and run innovative projects. 100% based on practice, experience, simulations and exchange of knowledge of practitioners from Poland and the world. As part of the GCA, we have created the Master of Business Change program (MBC), which deals with the most important challenges of modern organizations. Prepares participants to use their strengths, talents and self-confidence to face them. We invite practitioners to each module – both with ‘success stories’ and with ‘spectacular failures’. People close to practice. From industries tailored to the needs of participants. In the Provocative case Study formula, we will ask for good and bad practices, for the mistakes made along the way and the lessons learned, for what they would do differently. Coaches and Experts of Pracownia Gier Szkoleniowych have been training teams in Poland and abroad for years now. Certified, they work with interactive methods. They combine many years of business practice with modern theories, former managers, scientists who completed thousands of hours of coaching. The structure of each module undermines the traditional training convention. It is a time-effective, annual program preparing leaders and their teams to implement digital transformation, initiate change, run innovative projects. It encourages us to go beyond the status quo, to break the convention. Each workshop, exercise, and task serve to develop authentic leadership in action. 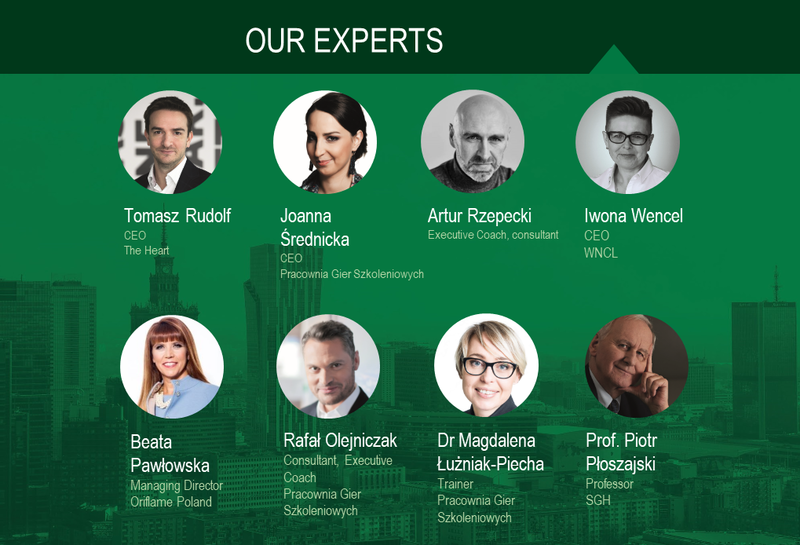 100% based on practice, experience, simulations and exchange of knowledge of practitioners from Poland and around the world. After each meeting, the participant gets a specific, practical tool to implement in their work. Master of Business Change ensures participation in the program for the leader and his team, thanks to which even 10 people from the company can take part in the annual cycle!